﻿﻿If you've been injured on the job and you're in immediate need of a workers' compensation attorney serving Temecula, visit us now and see our listed local lawyers. All of our listed attorneys in Riverside County are readily available to help you with your case regardless of what city you're in. See our list of workers' comp attorneys who are all verified to be local to the inland empire. We guarantee you won't find any lawyers from Los Angeles or Orange County with locally rented "satellite" offices posing as local attorneys. 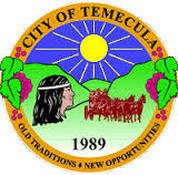 This website is a resource for finding workers' compensation lawyers serving Temecula, California for cases involving: filing a new workers' comp claim, appealing a claim denial, "3rd Party" injuries, getting medical treatment, vocational vouchers, Supplemental Job Displacement Benefits (SJDB), temporary & permanent disability claims and other workers' compensation related legal matters. Unlike many national legal directories, you'll find that the attorneys listed on InlandEmpireLawyers.com are physically located within San Bernardino & Riverside Counties and serve all local cities including Temecula. We validate an attorney's location through the California Bar Association website to verify that the listings in any practice area are always 100% local to the Inland Empire. Learn why it's CRUCIAL to hire a local lawyer HERE. Kevin Cortright located in Temecula. Brian Freeman located in Corona. Albert Hirst located in Hemet. Proud Member of the Riverside, San Bernardino and Western San Bernardino County Bar Associations. Attorneys in San Bernardino & Riverside counties serving the following communities: Rancho Cucamonga, Fontana, Rialto, Colton, Loma Linda, Redlands, Yucaipa, Upland, Ontario, Montclair, Chino, Chino Hills, Corona, Norco, Eastvale, Grand Terrace, Jurupa Valley, Mira Loma, Moreno Valley, Temecula, Pomona, Claremont, La Verne and all neighboring cities. Disclaimer: The information provided on InlandEmpireLawyers.com is not legal advice, InlandEmpireLawyers.com is not a lawyer referral service. No attorney-client or confidential relationship is formed by use of the site and form submissions made to attorney profiles are not confidential. The attorney listings on InlandEmpireLawyers.com are paid attorney advertisements and do not in any way constitute a referral or endorsement by InlandEmpireLawyers.com or any approved or authorized lawyer referral service. Your access of/to and use of this site is subject to additional Terms and Conditions. None of the content on this website constitutes a guarantee, warranty or prediction regarding the outcome of any legal matter. Copyright © 2018 Everest Legal Marketing All rights reserved.